You can hack someones KiK and read their chat messages. Easy get all sent and received KiK text messages. Track all Kik chat conversations. Wouldn’t it be great if you could just know about all of their KiK chat conversations? Are you worrying about your employees wasting their working time on KIK? You want to know exactly what they talked about? Do your family members using KIK hide their chat conversations? New Edge of the Spy Experience! Why choice SpyToApp? 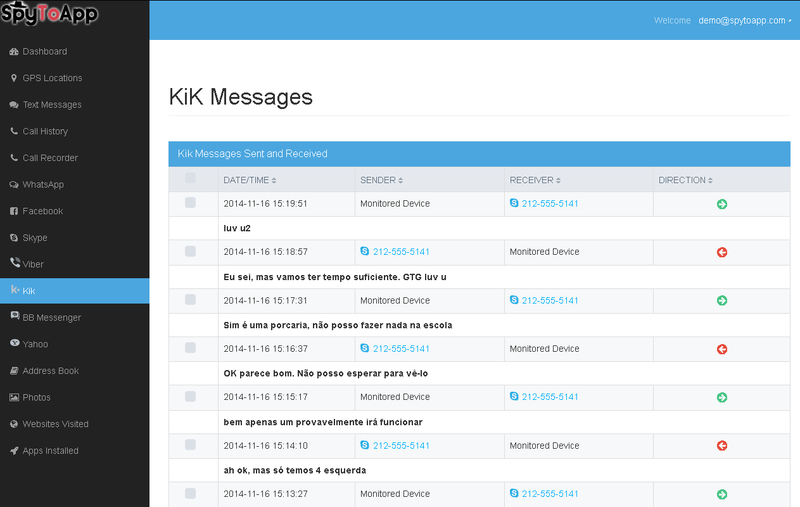 – How to Best Monitor KiK Messages On Android? As the statistics show that more than 1,000 people search keywords on google to know how to track kik messages in one day! Because you can not monitor KIK messages on their mobile phones because they do not show on your phone bill, it helps you keep track KIK some what complicated than you think and that’s why you’re looking for for to know how to keep track of conversations KIK! 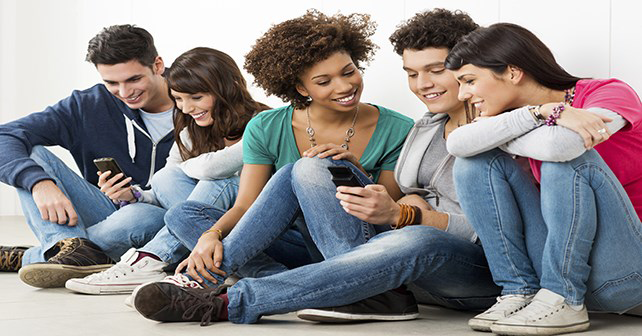 Bullying or malicious talk can occur not only in text messages or calls, but through KIK as well. You need to be in the know about what’s going to prevent any risk to your family or your business. Disclaimer: SpyToApp software is designed to monitor ethics for parents who want to monitor their children their adolescent or employers wishing to monitor their employees with written consent. The purchase of software SpyToApp to own smartphones or must have written consent of the child or their employees to track their license before they install and activate the software on the phone SpyToApp intelligent. If you try to use software to monitor SpyToApp a smartphone, you own or have not consented in writing appropriate to do so by the owners of smartphones, you can break down, federal law and local government. In this case we will cooperate with law officials to the fullest extent. Software SpyToApp not assume any responsibility for any misuse or damage caused by our software SpyToApp. It is the buyer's responsibility to comply with the laws of their country and use legal software SpyToApp.